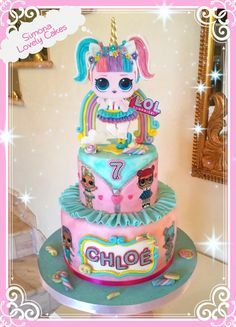 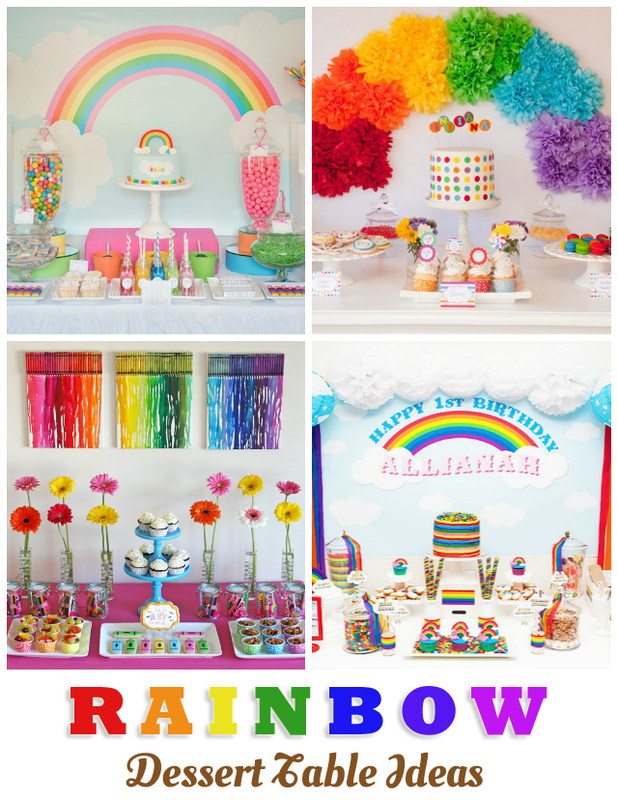 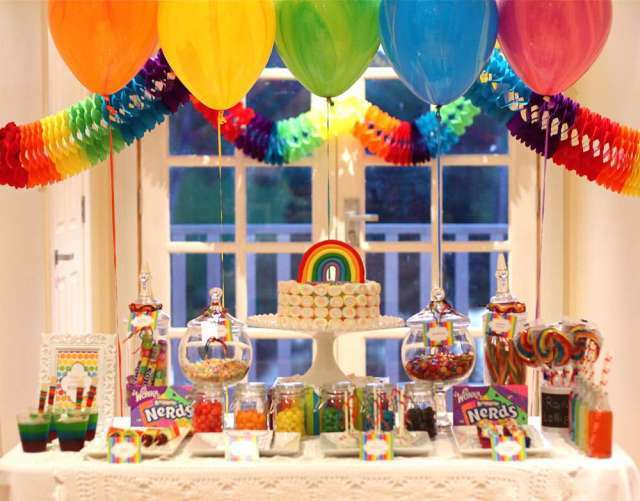 Rainbow parties are always a top choice for children’s parties because of how bright and colorful they are. 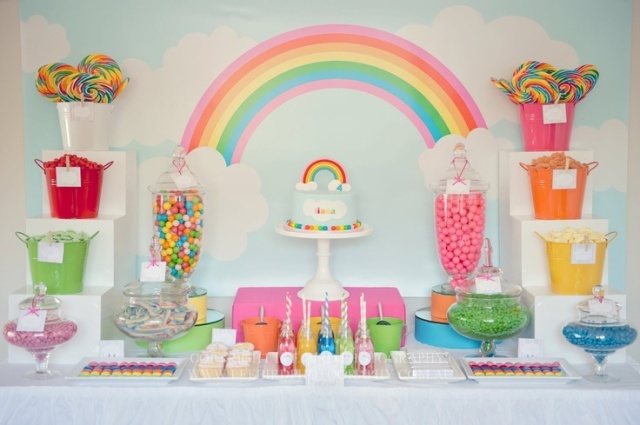 What I love about rainbow themed parties is that you can easily incorporate the colors and rainbows with any other theme. 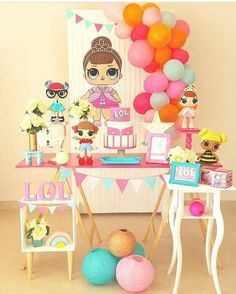 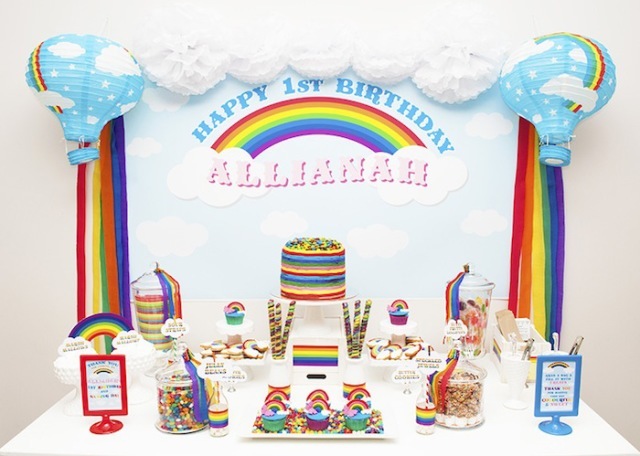 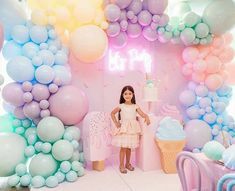 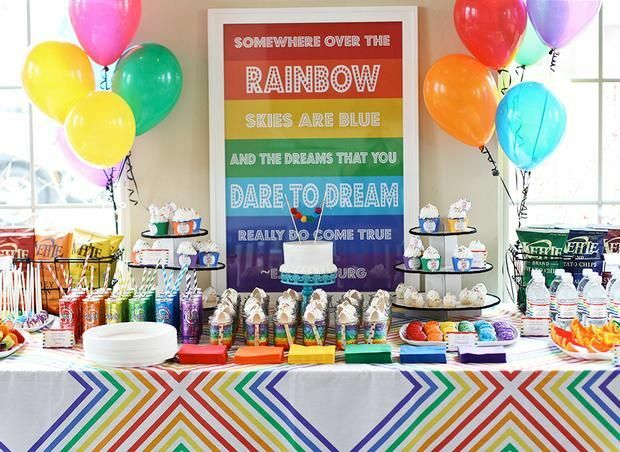 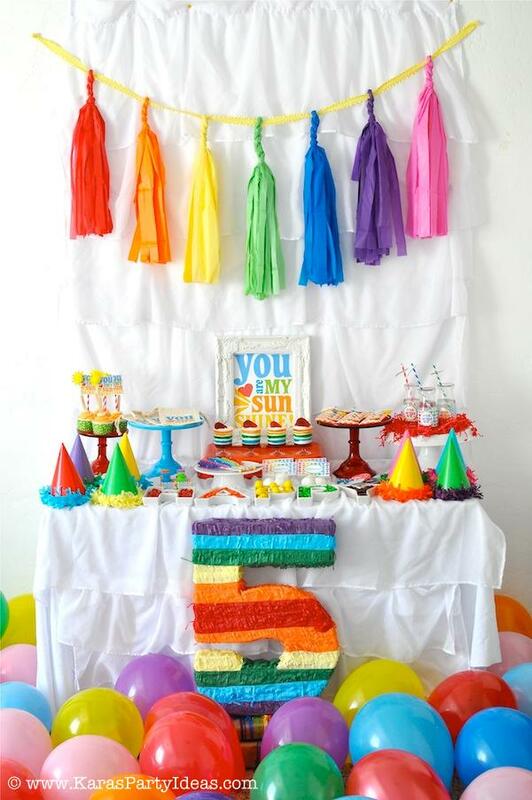 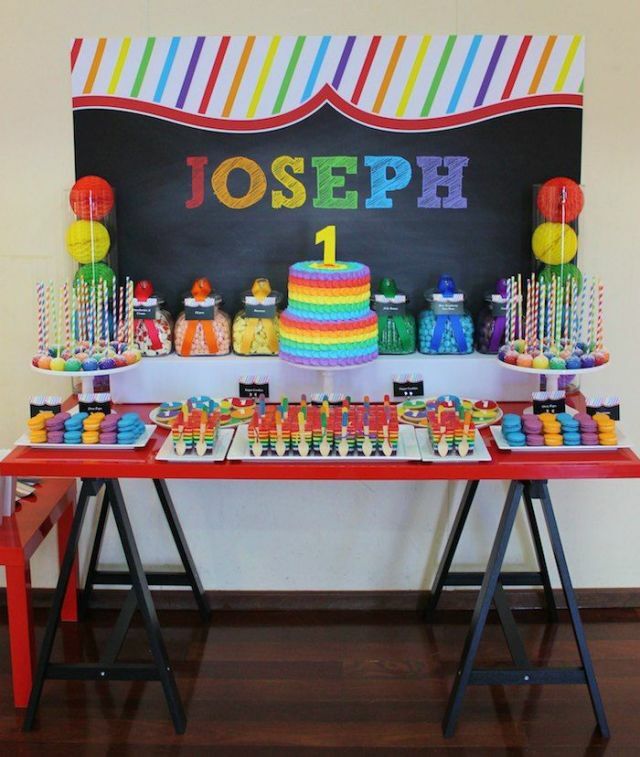 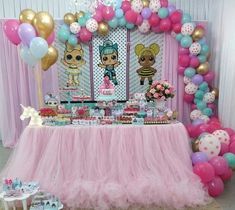 From rainbow themed ice cream parties, to art parties, to rainbows and unicorns, and even character themed parties, you can easily make an ordinary themed party stand out with pops of bright and fun rainbow colors! 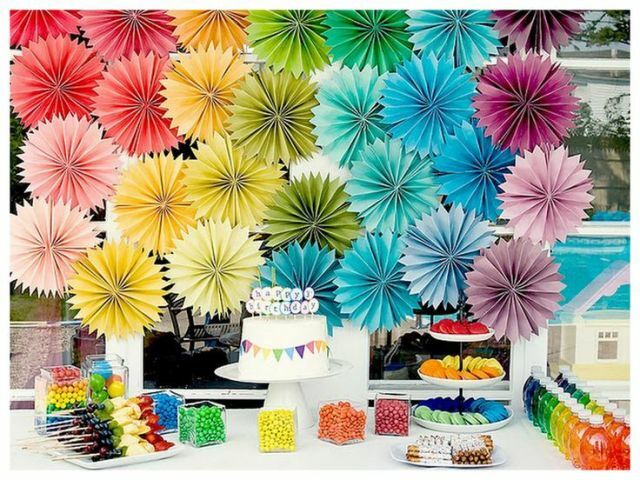 Here are 10 Rainbow Dessert Tables I’ve gathered from around the web. 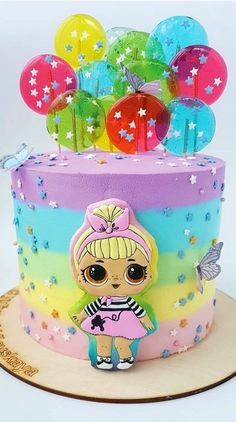 Everything is just so gorgeous! 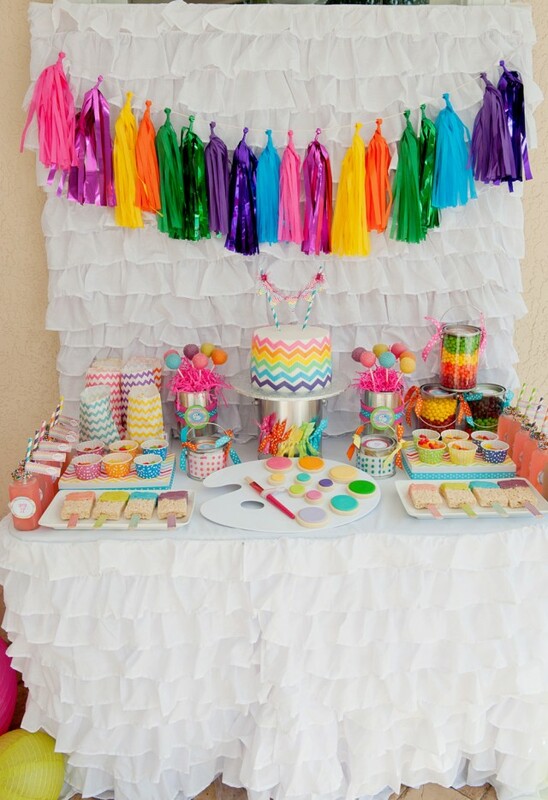 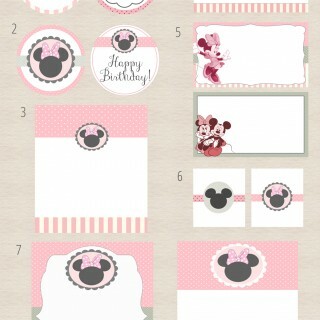 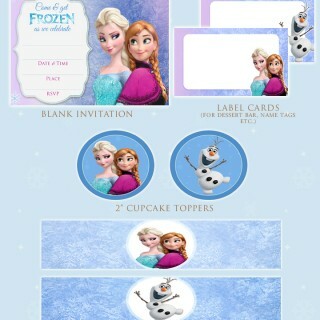 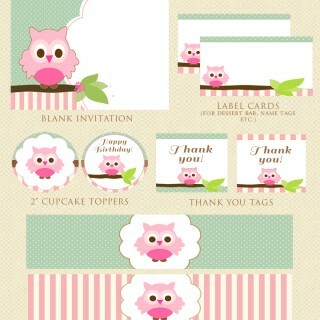 Just click the source link to view the rest of the party. 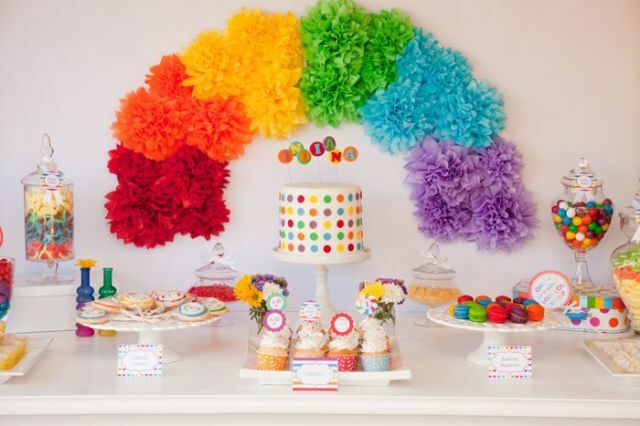 Rainbow Art Dessert Table. 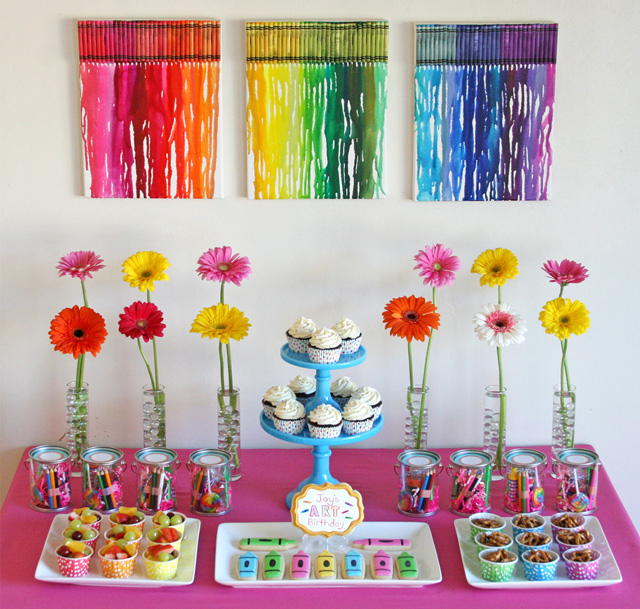 Learn how to make that melted rainbow crayon art also on Glorious Treats.